Summing up this year, we can tell that thanks to the support of the members of the Partnership and the active work of experts and specialists, International Dangerous Goods and Containers Assotiation confirmed its international status of the Subcommittee of Experts of the UN ECOSOC, actively participating in the development and improvement of international rules of transportation of dangerous goods. The experts of «IDGCA» took part in a number of meetings of the ECOSOC Sub-Committees and Working Parties of the UNECE Inland Transport Committee (41st session of the ECOSOC Sub-Committee of Experts on the Transport of Dangerous Goods (25 June - 04 July 2012), 23rd session of the ECOSOC Sub-Committee of Experts on the Globally Harmonized System of Classification and Labelling of Chemicals (04 - 06 July 2012), 42nd session of the ECOSOC Sub-Committee of Experts on the Transport of Dangerous Goods 03 - 11 December 2012, 24th session of the ECOSOC Sub-Committee of Experts on the Globally Harmonized System of Classification and Labelling of Chemicals (12 - 14 December 2012), 6th session of the ECOSOC Committee of Experts on the Transport of Dangerous and on the Globally Harmonized System of Classification and Labelling of Chemicals (14 December 2012), 93rd session of the Working Party on the Transport of Dangerous Goods (06 - 09 November 2012), Autumn session of the Joint Meeting of the RID Committee of Experts and the Working Party on the Transport of Dangerous Goods (17 - 21 September 2012)) and when it achieved a certain success, defending the position of the members of «IDGCA». In Russia the Association not came down its activity, by monitoring and commenting on the normative-legal acts (projects and in force normative acts) related to mixed transport of dangerous goods and affecting the interests of the members of «IDGCA» and providing consultations. 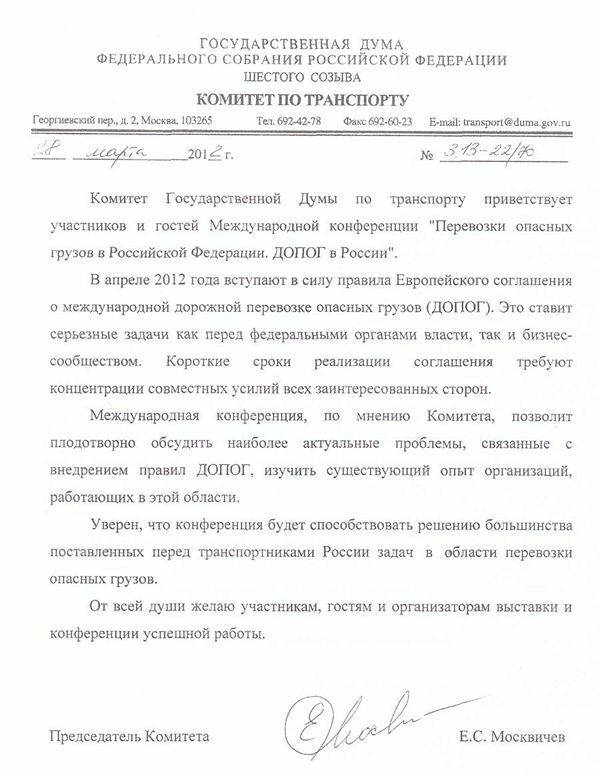 In the address of the ministries and departments, in particular, the Ministry of transport of the Russian Federation, Ministry of regional development, Rostekhnadzor it was sending proposals and comments on the individual regulations. In April 2012 «IDGCA» held the 1st International Conference «Transportation of dangerous goods by road. 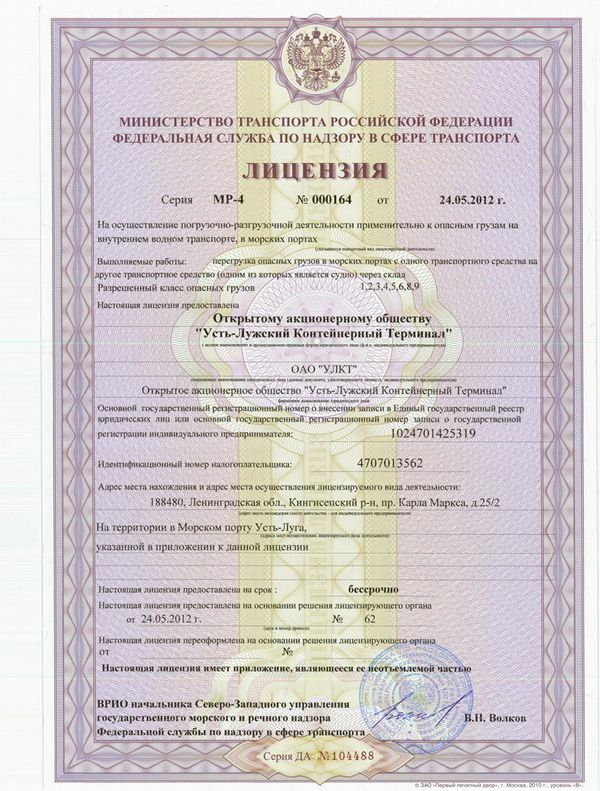 ADR in Russia», which attracted the attention of many Russian and foreign companies and state authorities. In this conference it was prepared written application to the Government of Russian Federation. 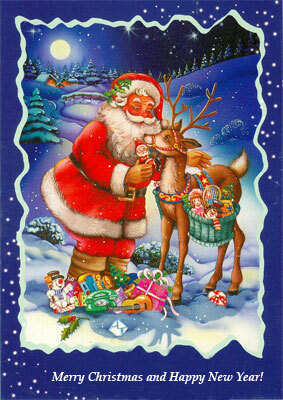 This year, the restored edition of the magazine «Dangerous Goods and Containers», the number of which is planned to be released in the beginning of January 2013. Successfully complete the year of two subsidiaries of «IDGCA» - «International Staff Training Centre» and JSC «Russian Register». There is a technical re-equipment of educational classes, the regular structure of employees increases, the kinds of activity provided by the Charter become more active. At the end of the year the Association of subsidiaries and there is no debt to the state and third parties. All this allows us to confidently go into the new year and the formulation of a new work plan, which will include the holding of an International conference «Multimodal transportation of dangerous goods» at the end of may 2013, participation in the work of the subcommittees and working groups of the United Nations, upholding the proposals of members of Association of ZAO «New technology in transportation», BUT «Chrysotile Association» in the Subcommittee of experts of the UN ECOSOC and the IMO to make changes to the Model regulations on the transport of dangerous goods, development of new directions of personnel training, in particular, in the sphere of industrial safety, transport safety, construction control, as also the development of the survey of activities of JSC «Russian Register» at the requests of insurance companies and many other things. It is planned to preparation of documents and obtaining consultative status at the IMO, quarterly issue of the magazine «Dangerous goods and containers», the preparation of appeals to the constitutional Court on the issue of separate articles of the Civil Code, which, in the opinion of the Association and its individual members, violate the rights of employers ' and do not allow to establish the conditions of healthy competition, the attraction of new members of the Association, especially foreign, with the purpose of creation of a wide network of representative offices of the Association. To continue in the next year will be supported by the constant interaction of Association with the international organizations, foreign non-governmental organizations, with the ministries and agencies with a view to improving the international and national normative-legal base. The Association plans to at the end of January - beginning of February to hold the annual report, the maximum paying attention to the organizational issues and the involvement of the active work of the members of the Association, including to the development of the subsidiaries of «IDGCA». The action plan, which the Association expects to take part in 2013, You'll find the link. On the eve of the New year, President, General Director and staff of the Association and its subsidiaries congratulate You with New year and merry Christmas, and wish You good health and success in business! IDGCA specialists will take part in Conference. -27 – 31 August 2012 - Economic Commission for Europe, Inland Transport Committee, Working Party on the Transport of Dangerous Goods, Joint Meeting of Experts on the Regulations annexed to the European Agreement concerning the International Carriage of Dangerous Goods by Inland Waterways (ADN) (ADN Safety Committee), Twenty-first session, Geneva. -17 – 21 September 2012 - Economic Commission for Europe, Inland Transport Committee, Working Party on the Transport of Dangerous Goods, Joint Meeting of the RID Committee of Experts and the Working Party on the Transport of Dangerous Goods, Geneva. -5 – 9 November 2012 - Economic Commission for Europe, Inland Transport Committee, Working Party on the Transport of Dangerous Goods, Ninety-third session, Geneva. IDGCA experts and specialists will take part in all three UN meetings. 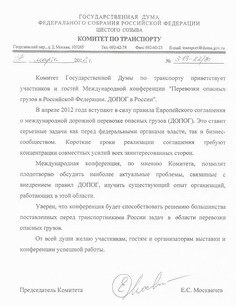 The Ministry of Transport of the Russian Federation on its website published drafts of Administrative Regulations of the Federal service on supervision in the sphere of transport providing the state service in licensing of cargo handling activity with reference to dangerous cargoes on an inland water transport, in seaports and on activity licensing on transportations by an inland water transport, sea transport of dangerous cargoes which, according to the IDGCA experts, demand essential processing. NP "IDGCA" plans to send to the Ministry of Transport remarks and offers to the above-stated projects within 10 days. In the period of 25 June – 06 July, 2012 in the Palace of Nations, Geneva were held the 41st session of the UNECE Sub-Committee of Experts on the Transport of Dangerous Goods and the 23rd session of the UNECE Sub-Committee of Experts on Globally Harmonized System of Hazard Classification and Marking of Chemicals. The IDGCA delegation participated in the work of both sessions. Upon results of the experts discussion of the documents, submitted by IDGCA on the basis of Proposal from “Chrysotile association”, positive decision was adopted regarding amendments to the 17th revision of Model Regulations of the UN Recommendations on the Transport of Dangerous Goods concerning appropriate shipping names for the substances with the numbers assigned UN 2212 and UN 2590. Alongside with participation in the sessions work, the IDGCA delegation held a number of important meetings and negotiations with representatives of foreign administrations and non-governmental organizations. The detailed information on the sessions work and adopted final documents you will receive at the IDGCA Secretariat. 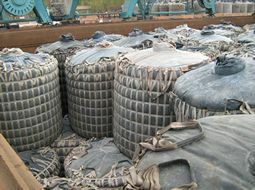 Flexible bulk containers (BK3) on the railroad. IDGCA proposes to Joint Meeting of the RID Committee of Experts and the Working Party on the Transport of Dangerous Goods of UNECE, which will take place on 17-21 September, 2012 in Geneva, to consider the proposals concerning revisions of Chapters 6.11, 7.1, 7.3 and 7.5 with a purpose of their inclusion into the RID rules or to create the working (correspondence) group for development of proposals on the use of BK3 containers in the transport of dangerous goods by railroad. IDGCA has prepared Proposal and is ready to stand its position at the successive joint meeting of experts concerning the Rules annexed to European Agreement on International Carriage of Dangerous Goods by Inland Waterways (ADN, ADN Safety Committee) with a purpose of making amendments to ADN. The successive meeting of Working Group of the Transport of Dangerous Goods will be held on 27-31 August, 2012 in Geneva. You can get acquainted with the IDGCA Proposal on our web-site or on the web-site of United Nations. The initiator of Proposal is the IDGCA member, the company “New Technologies in Transportation”. 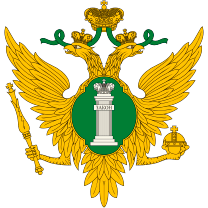 Federal autonomous enterprise (FAU) “Russian Maritime Register of Shipping” (earlier Federal state enterprise “Russian Maritime Register of Shipping” (FGU “RMRS”) has declared on termination of any interaction with Association on certification “Russian register” (ACRR). Does is mean that the new RMRS chiefs will do investigation and make responsible the former RMRS General Director, Reshetov N.A. 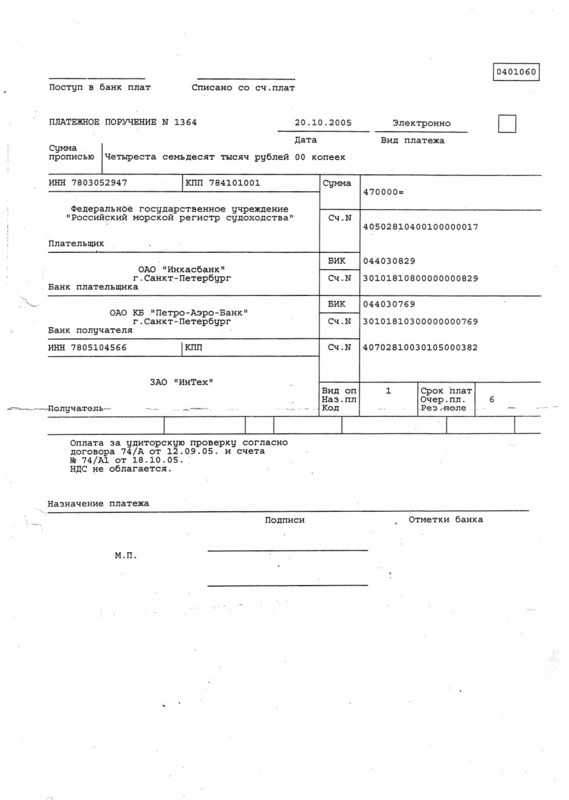 and his companions – the Director of ACRR, Vladimirtsev A.V. and Deputy Director Martsinkovsky O.A. for withdrawal of the resources from FGU “RMRS”, comprising those means, which in September 2005 passed as a payment for illegal services of the ordered police examination regarding IDGCA, one can only guess. However, judging by the tone and content of the letters, the 10-years epic of existence of the structure in parallel with RMRS, which provided the same services as RMRS has come to its end. The Clients will understand who is who, and by terminating interaction with ACRR, RMRS will keep its good name of the internationally recognized classification society and institution of certification of the quality management systems. Open joint-stock company “The Ust-Luzhsky Container Terminal” (OJSC “ULKT”) has obtained the license to carry out the loading-unloading activities relating to the dangerous goods on the inland waterways transport, in the seaports. 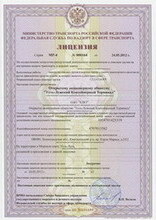 The license of series МР-4 № 000164 was issued on May 24, 2012 by the North-West Division of the state maritime and river supervision of the Federal service of supervision over transport on the basis of federal law dated 04.05.2012 № 99-ФЗ “On licensing of the separate types of activities” and Provision on licensing of the loading-unloading activities relating to the dangerous goods on the inland waterways transport, in the seaports, adopted by the ruling of the Russian Federation Government №193 dated 06.03.2012. The methodical assistance of preparation of the company for the work with dangerous goods was provided by IDGCA and International Staff Training Center (ISTC), which carried out training of the specialists on dangerous goods. Obtention of the license on work with the dangerous goods will allow to increase the terminal’s cargo turnover. During the years of 1987 – 1989 did the military service for a regular term. In 1991 graduated from the St. Petersburg State University, Economic faculty; during the years of 1989 – 1991 studied at the faculty of law of the same university. During the years of 1991 -1993 worked as Professor of the Economic faculty of the St. Petersburg State University. During the years of 1992 – 1999 worked as General Director of “Rossi” Ltd.
During the years of 1999 – 2004 worked as General Director of “Corporation C” LLC. During the years of 2004 – 2009 was Chairman of the Committee on investment and strategic projects of the Government of St. Petersburg. In the year of 2009 became the member of Government of St. Petersburg, Chairman of the Committee for economic development, industrial policy and trade; on December 4th, 2009 was appointed Director of the Department of industry and infrastructure of the Russian Federation Government. Awarded the medal “For Merits for the Fatherland” of the second degree, the badge “For humanization of the St. Petersburg school” of the Governor of St. Petersburg. Married, brings up three sons. The V International Nevsky Ecological Congress. 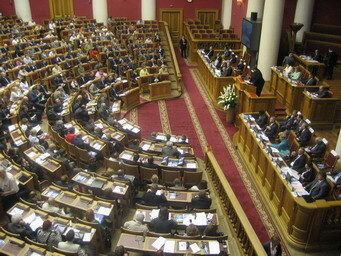 During the period of May 17 – 18, 2012 in the Taurida Palace took place the V International Nevsky Ecological Congress. This annual forum attracted the attention of representatives of the international and Russian organizations, Heads of the city on Neva, the Governments of many countries. The Congress participants were welcomed by the Russian Federation President V.V. Putin, the Russian Federation Government Chairman D.A. Medvedev, Co-Chairman of the Congress Organizational Committee, Chairman of the Federation Council of the Federal Assembly V.I. Matvienko. The renowned TV hostess Elena Malysheva effectively reported on the importance of pure water for the man’s health. At the round tables of the ecological congress were discussed the problems, demanding attention both of the Russian Federation Government and the Governments of other countries. The 41st session of United Nations' Subcommittee of Experts on the Transport of Dangerous Goods will take place in Palace of Nations (Geneva) during the period from the 25th of June to the 4th of July. The core documents of the session will be UN Model Regulations for transportation of dangerous goods (17th edition), Guidelines for testing and criteria of UN Model Regulations for transportation of dangerous goods (5th edition), Globally Harmonized System of Classification and Labeling of Chemicals (GHS, 4th edition), reports from the 40th session of the Subcommittee and reports from the 5th session of UN Committee of Experts on the Transport of Dangerous Goods and Globally Harmonized System of Classification and Labeling of Chemicals. 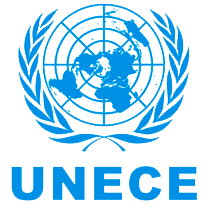 More detailed information on the agenda you can find on UNECE website using the link:http://www.unece.org/trans/main/dgdb/dgsubc3/c3age.html. IDGCA delegation for participation in the session is being formed. State Duma Transport Committee greets participants and guests of International Conference “Transportation of dangerous goods in the Russian Federation. ADR in Russia”. In April of 2012 regulations of European Agreement concerning the International Carriage of Dangerous Goods by Road (ADR) will enter into force. In the judgment of the Committee, the International Conference will provide productive discussion of the most contemporary problems concerned with introduction of ADR and allow studying the experience accumulated by the related organizations. We continue our preparations for International Conference “Transportation of dangerous goods by road. ADR in Russia”. Mr. O. Kervella, Secretary of Subcommittee of Experts on the Transport of Dangerous Goods, ECOSOC, will be one of the principal speakers on the conference. In addition to two reports which elucidate main ADR provisions (European Agreement concerning the International Carriage of Dangerous Goods by Road) and rules to this Agreement, Mr. O. Kervella will answer questions from participants of the conference. You can send your questions to the steering committee by faxes: +7 (812) 421-54-51, 421-57-17, 740-20-19 or by e-mail: info@idgca.org, istc@idgca.org. Watch the development of preparations for International Conference “Transportation of dangerous goods by road. ADR in Russia”! In the period of February 06 – 10, 2012 in the Federal Service of supervision in the sphere of transport the training seminar was held for chiefs of the licensing departments and chiefs of the linear departments of territorial divisions of Gosmorrechnadzor. The seminar took place with a purpose of improvement of the organization of licensing on the inland water and maritime transport in relation with a number of new legislative and normative acts in the field of licensing, the basic of which is the federal law dated 04.05.2011 №99-ФЗ “On licensing of separate types of activities”. More attention at licensing will be given to training of the staff, who must comply with the established qualifying requirements. 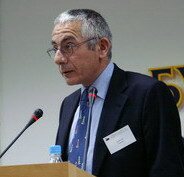 The Director of “International Staff Training Center”, Deputy Director of IDGCA, Tsikhiseli V.G. made a report on the issues related to the staff training in accordance with the requirements of Chapters 1.3. and 1.4 of International Maritime Code on Dangerous Goods and Chapters 1.3, 1.10, 8.2 and Section 1.8.3 of the rules of European Agreement concerning the International Carriage of Dangerous Goods by Inland Waterways (ADN).